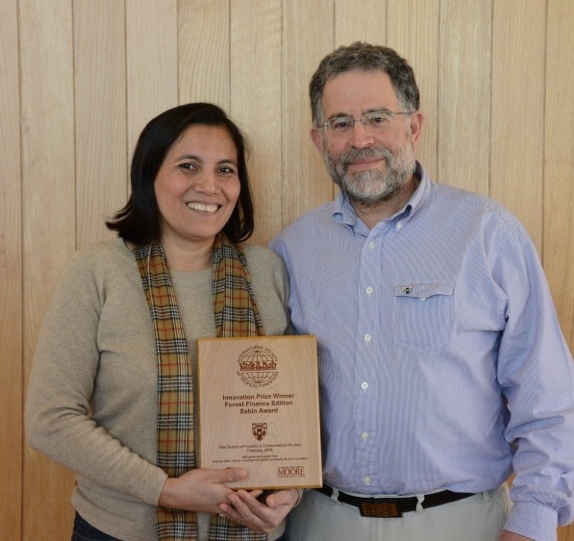 The Yale prize recognizes GreenWood’s development of a “Green Broker Network”—a unique, entrepreneurial approach to forest conservation that cultivates enterprising relationships across the value chain, from forest producers to consumers. The network combines forest management, woodworking training, product development and market access for artisan producers of furniture, guitar parts and other high-quality forest products. GreenWood and Madera Verde have operated in some of the hemisphere’s most threatened forest landscapes for 20 years. According to GreenWood founder and president, Scott Landis, “Having an innovative idea is cool, but it’s only the first step. Keeping at it day after day and year after year—forging partnerships along the way—that’s what makes innovation real.” That GreenWood's focus and mission have expanded over the years to conduct basic forest research and to tackle illegal forest invaders only highlights a point made by Gifford Pinchot, founder of the Yale School of Forestry and the "father" of professional forestry in America: "Innovations never happen as planned." Addressing the theme of this year’s conference, “Forests as Capital: Top-down and Bottom-up Approaches to Conserving Tropical Forests,” the GreenWood/Madera Verde presentation focused on their value-added partnership with three community forestry cooperatives that occupy the frontline of the agricultural frontier in the Mosquito Coast of Honduras. Fostered by GreenWood for more than a decade, these local communities supply mahogany for high-end instruments made by the Taylor Guitar Company of California and others in the musical instrument trade. 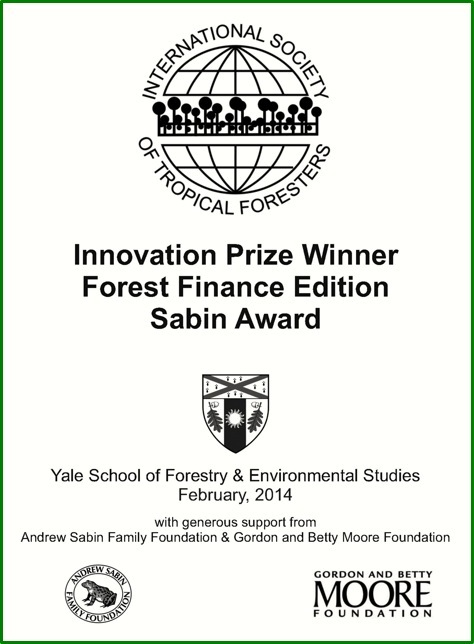 GreenWood was among four Innovation Prize finalists, selected from a field of 40 international applicants, who addressed the conference objective of identifying and promoting “practical and strategic finance initiatives designed to conserve tropical forest ecosystems.” GreenWood and Madera Verde demonstrated that, over the last five years, their enterprise had delivered more than USD$ 1.2 million in revenue to the North Coast of Honduras. In addition to ensuring a legal supply of high-quality mahogany guitar parts in one of the world’s most precarious environments, the Green Broker model has provided well-paid employment for roughly 75 sawyer cooperative members in three different groups, representing nine villages. Profits earned from the proceeds of this enterprise have also helped to fund micro-hydro electric projects in two communities, worker’s insurance and a variety of community infrastructure and development investments.